1. 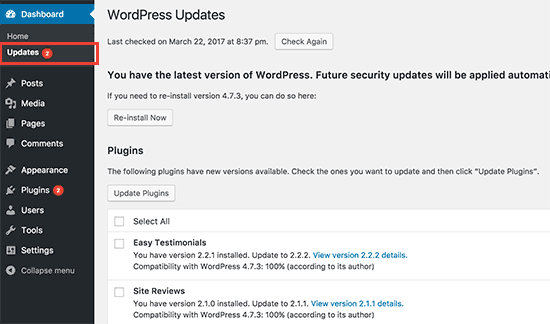 Why Update WordPress Plugins? 4. Before You Update, Read this! It’s extremely important for security reasons that you keep the plugins updated. 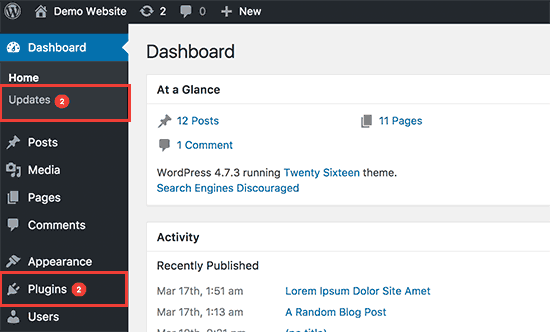 In this step by step guide, we will show you how to properly update WordPress plugins, and how to manage plugin updates more efficiently. After that you can install the WP-Rollback plugin. 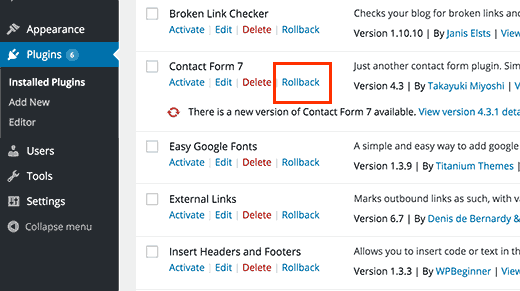 For detailed instructions, check out WPBeginner’s guide on how to how to rollback WordPress plugins. If you are unable to access the WordPress admin area, then follow the steps in the following guide on how to deactivate all plugins when not able to access WordPress admin area.